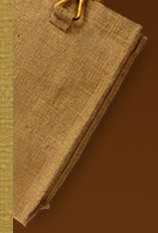 Being fashionable and environment friendly, Printed Jute Bag is an ideal choice for advocating messages to the masses. Like any other types of Jute Bags, these bags, custom printed jute bags are printed with either business names or logos or company initials, can be put to use for carrying any everyday item since its promotional aspect will work automatically the way company wants it to work. These Personalized Jute Printed Bags are perfect for making outdoor promotions on company trips or for any other huge product promotional launch. Usually, Custom Printed Or Intricately Embossed Jute Bags are a concoction of style and functionality as they add style statement and are convenient to carry loads / requirements. Depending upon their utility, these can be designed in many different ways and are available in various varieties and sizes. Printed Jute Bags can be an ideal choice for individuals or business organizations to convey either a social message or some business information. 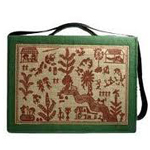 Out of many options available in the market, a jute bag is usually desired for making a fashion statement as well as for its promotional aspect. For Promotion- Many business entities prefer to chose light weight and Custom Printed Eco Friendly Jute Bags for their product promotion. Available in vibrant natural colors, these bags are a good option to get maximum exposure in the market. Besides, it can be used as a perfect tool to advertise and increase one's business. Not only this, eye catchy designs of these bags tend to grab attention of the recipients and enables a company in making a brand status in the market. For Individuals - Whether or not involved in any business or organization, an individual can also own Custom Printed Jute Bags. These are a great way to portray or express one's personality or thoughts publicly. Colorful bags can never go wrong as birthday gifts, wedding gifts or any other occasional gift. Plus, these are great for everyday purposes.